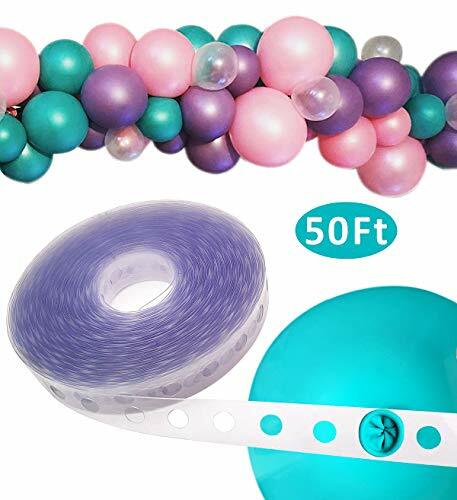 The right tool can make your 50ft balloons decorating strip easy to prepare your party or event.This kit diy super easy and can make balloon arches and garland looks gorgeous,make an impression for your party with modern garland! Please follow the specification inside the package. 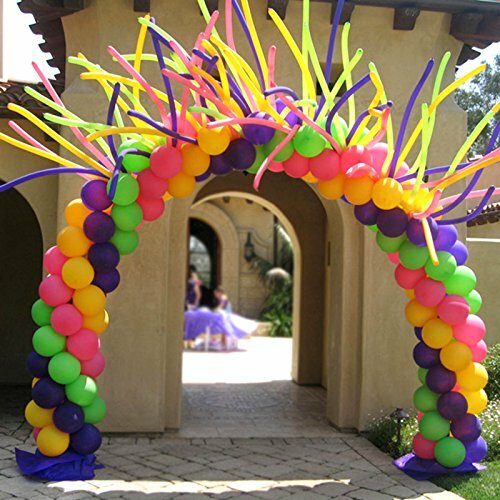 The features about balloon arches and garland: 1) LOOKS GORGEOUS:It is made up of a series of balloons of various colors and sizes,and is a gorgeous party decoration. 2) DIY THE SHAPE: The balloon strip can be cut,bend and connect the balloon tape, shape them however you like. 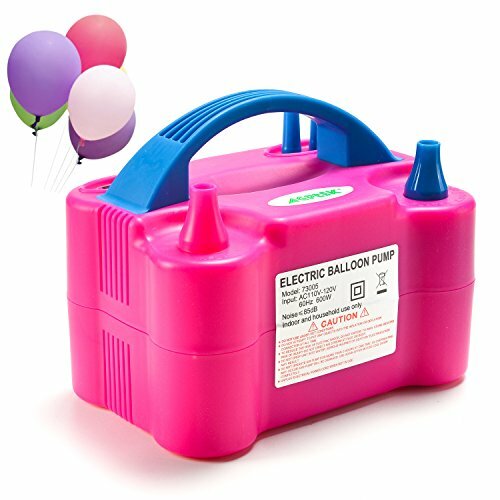 3) NO HELIUM GAS: You just need to fill the air,then tie the balloons by balloon tie tool ( inside the package ),save your time and money without helium gas. 4) USAGE OCCASION: Great for party, wedding, birthday, baby shower, graduation season and any special activity. SUPER EASY DIY WITH USEFUL TOOL TO MAKE AN IMPRESSION FOR YOUR PARTY WITH MODERN ARCHES AND GARLAND! How to connect the balloons to the arch? 1. Look in youtube.com for videos on how to connect the balloons. Just search balloon arch. It is very simple. FIRST METHOD - Blow up four balloons then tie each pair together then twist the two pairs together. After that you slide the pole of the arch between two of the balloons and twist them together to hold them in place. SECOND METHOD - Use the balloon rings. Fix the balloon to the plastic ring button and then cover the balloon ring to the pole. 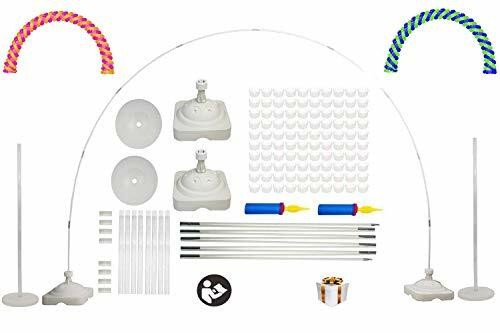 The Best Perfect Size Balloon Arch Kit You Will Ever Get to Decorate Your Party and Event This Balloon Arch Kit can be turned into a very beautiful balloon gate. The balloon arch frame is 8 feet height and 11 feet wide, so it's a perfect size for adult people or children. 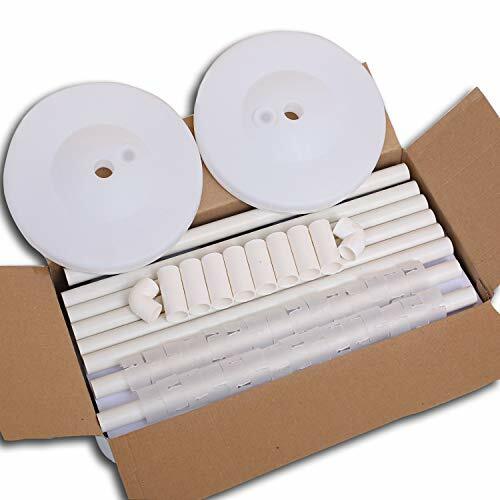 The whole set comes with 2 large water fillable base (22lb after filled with water), 2 PVC tubes, and 10 poles. With this perfect size balloon arch frame, party hosts can create many beautiful balloon patterns. 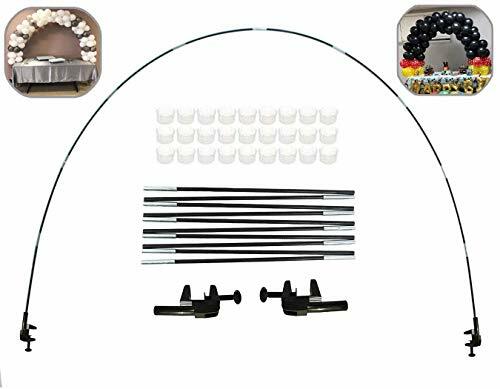 Specification: Product Name: Balloon Arch Kit Quantity: 1 Package Including: 2 large water fillable base / 2 PVC poles / 10 metal poles / 2 balloon pumps / 50 balloon ring clips Material: Plastic & Metal Size: 8FT Tall and 11 FT wide Weight: 20lb without water / 40 lb with water How to Install the Balloon Arch Kit Fill up both balloon arch bases with water. 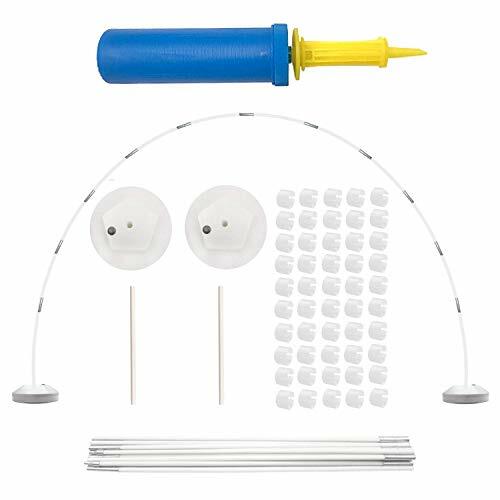 Stick the PVC tubes to the large bases Put 10 poles altogether put about 35 balloon ring clips through the poles Connect the 10 poles with PVC poles sticked on the large water fillable base to form an balloon arch frame. 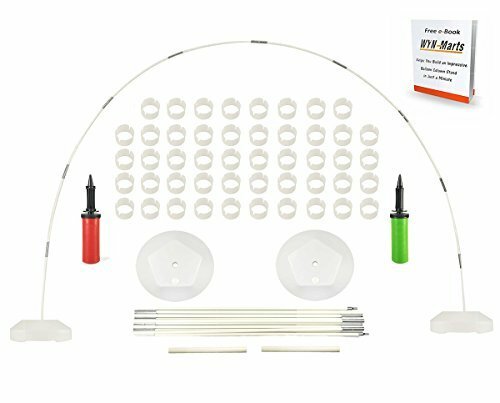 It takes patience and hands-on skill to make this balloon arch,this balloon arch kit is extremely easy to assemble,it saves you a lot of time in preparing your event. You can decorate the column stand with whatever balloon patterns you prefer.The balloon arch kit will give you or your family or friend to make a pleasant party. How to Install the Balloon Arch Kit Fill up the base with water and close the small lid Put the prepared balloon on the clips. Stick it on the big base to stabilize the arch rods. Connect the 12 arch rod, and stick it into the PVC poles to to form an balloon arch frame.